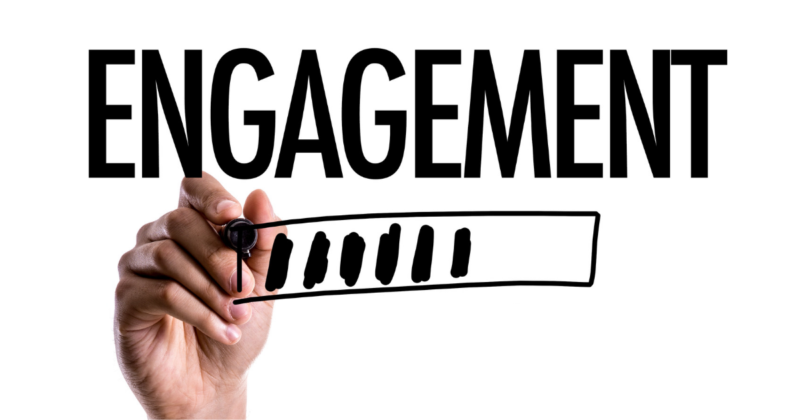 Engagement refers to all the ways your audience members interact with the content you post on Facebook: likes, shares, reactions, and comments. If your group members are scrolling past your posts without interacting with them you’ll have low engagement. This means your group members are not finding your content to be relevant or helpful. They will be less likely to see you as an expert, come back to your group, or refer your group to others. If your group members are not engaging with your content you are missing out on opportunities to build trust with them – and convert them into paying clients! If you find that people are not interacting with your posts, you might be making one of the two mistakes below. Mistake number one? You may not be sharing the right types of Facebook posts with your group members. 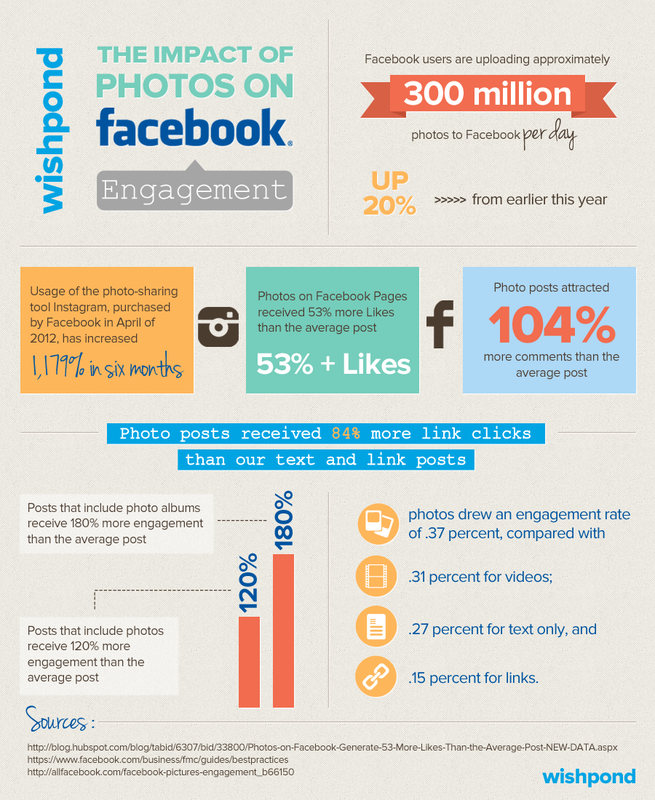 For example, did you know that photos receive 53% more likes and 104% more comments than regular posts? They also get 84% more link clinks – so if you want your group members to take action, such as download a freebie or sign up for a webinar, photos are a must! Mistake number two? Posting at the wrong time. This is one of the reasons why it is very important to identify who your ideal clients are before you start creating and sharing content with them. For example, a stay-at-home mom is not likely to hang out on Facebook right before school starts. She has to get the kids’ lunch boxes ready and drive them to school first! However, she may pop in to check out the latest posts right after the early morning rush is over – but before tackling the rest of her daily errands. Here are the top 5 Facebook posts that can help you boost engagement within your group – and attract more ideal clients to your business as a result! This is one of the most underutilized posts on Facebook… And one that can benefit you immensely because it has the power to create a truly meaningful connection with your group members. People often think they can’t ask for feedback or advice because they should be seen as an expert or an authority figure in their Facebook groups. However, you don’t have to be an expert on everything – in fact, asking questions and showing some vulnerability can be a good thing. Plus, people LOVE giving advice and showing off their expertise when they can. By asking advice or feedback on things that are outside of your primary field of expertise, you will give your audience a chance to engage with you and feel good about themselves and their knowledge. Don’t ask your group members questions about your primary field of expertise. It might make it seem like you don’t know what you’re doing – which is the opposite of what we are trying to do here! Instead, ask your group members for advice on something tangentially-related to what you teach (e.g. their favorite software recommendations) or something more personal. The latter approach will also help add a personal touch to your brand, which can be invaluable when it comes to building trust with potential clients. You can also ask for people’s opinion on something related to your business. Just make sure you are not actually asking for advice on something you should be an expert on! Instead of showing you don’t know what to do, you want to show them you value their thoughts and opinions. To accomplish this, you can create a simple Facebook poll post with a few answers they can choose from. If you want to ask for advice or solicit recommendations, a text post or a simple graphic will do. 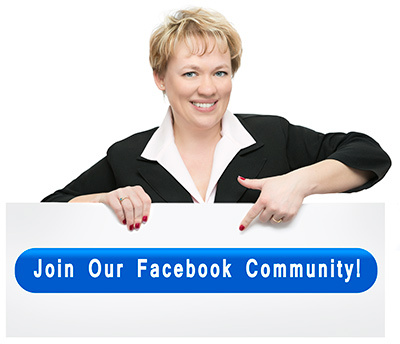 Questions require your group members to engage with you directly by commenting on your post. They can be great for fostering a sense of community and allowing your group members to get to know you – and each other! You can make your questions as business-related or as personal as you want, which makes them a pretty versatile tool for boosting engagement. There’s more than one way to ask questions on Facebook. You can ask simple yes or no questions to get a quick answer or post open-ended questions to let people share their experiences and stories with you. Both approaches work; just make sure there is no one right answer to the question. Why? Because as soon as someone answers the question correctly, people will stop engaging with and contributing to the post. Keep the questions short and sweet. If people have to read through a long paragraph to find your question, they will be less likely to get to it and engage with it. The question shouldn’t require a long answer, either. While you can certainly cultivate a sense of community within your group by posting personal questions, make sure they aren’t too personal. Facebook is a public forum which means your group members probably won’t want to share their deepest secrets with you there! The best questions to ask on Facebook are ones which you’d ask if you went to a party where you didn’t know anyone. “What was your very first job?” is a great question that doesn’t require a lot of time or effort to answer – but can certainly spark some interesting conversation! Checking in on current trends with a well-timed question is another option – just make sure to avoid any potentially inflammatory topics. Video content is becoming incredibly popular among businesses of all shapes and sizes because it is so eye-catching and easy-to-consume. Facebook prioritizes video content, which means your post has a higher chance of landing in front of your ideal clients. If your video is engaging and relevant to their interests, your engagement levels will increase. Plus, this format is suitable for almost all types of posts, such as questions, advice posts, and even quotes. There are a couple of ways to create video content on Facebook. You can record yourself on your phone for a quick and easy video post. Have someone shoot and edit a short promotional video or post video from an event you attended. You could also do a Facebook Live – but that’s a whole other story which we will discuss in the next section! Here’s a video from High Profit Programs Live Event that I recently posted to my own Facebook group. If you haven’t done live speaking events yet, don’t worry! You can simply pick up your phone and film a short video sharing something related to your life or business to boost engagement. Behind-the-scenes videos are becoming especially popular, so if you’ve got a daily ritual you want to share with your group members, go ahead! Facebook Live is a form of video content that deserves its own category. While you shoot the rest of your video content outside of Facebook, Facebook Live is created inside the app – which is why Facebook is prioritizing and promoting it even more than other types of video. In addition to that, the “live” aspect of Facebook Live creates a sense of intimacy and urgency which increases the chances that someone will ask a question or comment on your post. I recommend doing a weekly Facebook Live session for your group members. Consistency is key, but you don’t want to overdo it. Most people won’t watch daily Facebook Lives. Plus, you probably won’t have enough content to create them (daily sessions require a lot of content). As far as content goes, give the people what they want! Answer the most common questions you get about your business or give them an update on what’s going on in your personal life. You can also structure your Facebook lives around your upcoming offerings and include a call-to-action at the end – to sign up for an upcoming webinar or event. The bottom line? Provide value to your audience, do it consistently, and you will see a great engagement boost from doing this. The easiest way to do Facebook live is to do a Q&A session. Pick a topic – business, marketing, life updates – and go! You can check out some of my past Facebook Lives on my Facebook page. Posting the right types of content can help you boost engagement within your Facebook group and attract more ideal clients to your business. 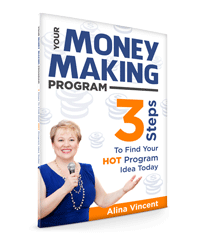 However, there are many other intricacies to running a truly profitable Facebook group… Which I’d be happy to chat about during a FREE Facebook group strategy call! Need help getting more ideal clients to come to YOU?